The information about the effects of Shisha in the body had been written and read by many. But people want to read more about this sensational Shisha. At present, people won’t believe a thing without facts on it. So one would like to know the important details about what about Shisha that makes people so intrigue and what sets it apart from cigarette. Facts about the inside story why Shisha had the particular effects in the body and why Shisha users want more of it, making them smoke more and more everyday. Does Shisha contain more harmful substance than cigarette smoking? Are there similarities and differences between the Shisha waterpipe and cigarette as to the modality of the harmful substances it can deliver to the body of the user? Questions like these need answers. This is a point where you ought to know more about Shisha. Here are important secret facts that you need to know. 1. Same effects with cigarette. Smoking Shisha and breathing second hand smoke from waterpipes can be presumed to have similar effects as exposure to cigarette smoke. The belief of some that Shisha is harmless only leads to their own destruction. Shisha is as dangerous as cigarette smoking. 2. Shisha contains more carbon monoxide. deliver oxygen to vital organs which can later lead to organ damage. 3. Shisha smoking has cancer causing substance. Smoking Shisha contains significant amounts of nicotine, levels of costic compounds such as tar, carbon monoxide (car exhaust), heavy metals like cobalt, and lead; and a host of cancer causing chemicals. Shisha smoking produces similar increased blood nicotine levels and heart rate as cigarette use. The inhaled substances trigger chemical reactions in nerve endings, this release dopamine; which is associated with the feeling of pleasure. This seems to play an important role in nicotine addiction. A Shisha smoker is still smoking tobacco and the nicotine in it causes dependence after using it for several times. 5. 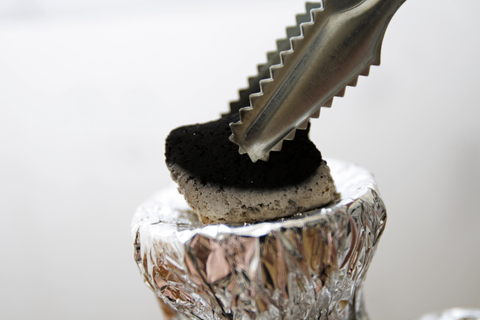 Charcoal in Shisha increased the risk of diseases. 6. Damaged different body organs. Shisha smoke is associated with increased risk of disease including cancer, heart disease, lung disease and many other deadly ailments. It might not be noticeable now but the harmful chemicals are already slowly damaging certain parts of the body of a Shisha user. 7. Shisha delivers more smoke in the body. Of concern, smokers of water pipes may be exposed to even more smoke than cigarette smokers because water pipe smoking sessions last from 20-80 minutes during which a smoker may inhale as much smoke as that from 100 or more cigarettes. This only magnified and multiplied the effects of smoking Shisha. 8. Known by many names. So be informed to be familiar, Shisha are one name for waterpipes, which is a method of smoking tobacco. Other names include: hookah, boory, goza, narghile, nargile, arghile, and hubble bubble. 9. Shisha has a flavoured tobacco. The most common form of tobacco smoked in a water pipe is called Maassel, which is sweetened and flavored in such flavors as apple, mint, cappuccino, etc. 10. More rampant in some counties. Shisha water pipes are most common in areas of China, India, Pakistan, and the Eastern Mediterranean Region, as well as United States. Also to be noted, that Shisha outlet had been showing up like mushroom in different parts of the globe today. 11. Shisha has adverse effects during pregnancy. Pregnant women smoking a Shisha are putting their unborn child at great risk for low birth weight and other birthing problems. 12. Shisha can spread infectious diseases. In conclusion, the available evidence suggests that smoking Shisha waterpipes and being exposed to second-hand smoke from water pipes are associated with a high degree of health risk, including cancer risk. There is a widespread misperception that Shisha smoking is safe. In general, people know little about its health effects and believe that it is less harmful than cigarette smoking. Another common misperception among Shisha users is that they will not suffer any adverse consequences if they smoke occasionally rather than daily like most cigarette smokers. Yet even occasional users could be harmed because they probably inhale lot of smoke full of toxic substances during smoking sessions that typically last for 45 minutes to over an hour both directly and through secondhand smoke. Knowing this facts will aide you now of why Shisha could have this big impact in your health and well being.